Andrea Graziosi, professor of contemporary history at the University of Naples Federico II, and a lecturer in Soviet history at Yale and Harvard. Andrea Graziosi recently published a book reconstructing 50 years of Soviet history,"L'Urss dal trionfo al degrado. Storia dell'Unione Sovietica (1945-1991)" ("USSR from Triumph to Decline. History of the Soviet Union (1945-1991). Professor Graziosi, the war in Georgia, the tensions between Russia and Ukraine, and those related to the anti-missile shield, have recently caused some observers to talk of a new cold war. Is this a correct description? It is absolutely incorrect to talk of new cold war. Above all, because the Soviet Union no longer exists and because Russia, although a country which possesses atomic weapons, suffers from a terrible demographic crisis and maintains itself only on oil. Furthermore, the United States is not the same as in 1945. In 1945, even China did not count much. Now, there are China, India, and the European Union. Of course, we are witnessing Russia's resurgence, thanks to oil, and it is reasserting its position as a regional power. Also, the Americans, who have many other problems, are trying to contain it. The cold war was real; here, there is an occasional verbal clash, with Europe being largely passive vis-à-vis Russia's reaffirmation as regional factor. What was the role of the Baltic states and their uprisings in 1988, in exporting the "national revolutions" to the Caucasus and Ukraine? The role of the Baltic states was enormous, but at a more general level, the role of national questions was, in the beginning, a secondary factor in the accelerating crisis of the Soviet Union. The Soviet Union fell in crisis because the socio-economic system did not function any longer. People were dying at the age of 63, they lived miserably, there was no money, and there was a lack of goods to buy. The crisis was so deep that even the leadership, including perhaps the last leader, Brezhnev, had given up on radical reforms. The putschists in 1991 were the "reformists" from 1985. Thus, the national question was a minor factor in the crisis of the Soviet Union. Going back to the first question, I would say that the Baltic states had a very important role. The Latvians, Estonians, and the Lithuanians, who were the last ones to be conquered, were most at odds with Moscow. According to the generational theory on consent, those who have been occupied more recently, hate the Soviet Union more. When were the Russians and the Ukrainians subjugated? In the 1920s and 1930s; thus, the generation, which was 20-30 years old in that period, was very anti-regime oriented, whereas those 20-30 years old after WW II were not. In the Baltic, the occupation happened in the 1940s and 1950s, hence the occupied were still active in the 1980s. Therefore, we can say that the Baltic wave put in motion all the other national waves. However, there were serious problems in Central Asia: for example, the first clash between nationalities that took place in December 1986 in Almaty, Kazakhstan. Many countries in the post-Soviet area seem rather impermeable to democracy. In your view, what are the historic factors of such different models of development? These are complex issues, but some comparisons can be made. In Belarus, which is smaller than Ukraine, the process of Russification was much more pervasive. Belarus is much weaker; there was a Belarusian national movement during the civil war and in times of overall crisis, but its role was not even remotely similar to that in Ukraine. In this respect, there was a strong difference between the two countries. At a certain point, the Soviet Union opted for a slow Russification of the Slavic republics, because the aggressive policy had not succeeded. In Belarus, this strategy had more success than in Ukraine because the country was much smaller, and the traditional national culture weaker. The fact that a strong democratic movement subsequently developed in Ukraine definitely had to do with the existence of a strong national and cultural component, different from the Russian one. Ukraine is also much richer, bigger and more complex, compared to the other republics. Georgia was the most anti-Russian state in the Soviet Union. It had an independent social democratic republic for four years, from 1917 until the Soviet occupation in 1921, whereas Ukraine has had it just for a few months in 1918-1919. The strongest national uprising in the history of the Soviet Union was the Georgian revolt in 1924, organized by the remains of the Georgian Menshevik state. The first real national uprising, which paradoxically praised the figure of Stalin, was the Georgian one in 1956, after the 20th congress of the Soviet Communist Party. Georgian nationalism is real, strong, and traditionally anti-Russian. During the Stalin years, given that the Soviet leadership was from the Caucasus, those tendencies were frozen. Azerbaijan was a republic with a very strong Muslim tradition. Georgians and Armenians have had big conflicts, but this is nothing compared to the already existing conflicts between the Azeri and the Armenians. From a certain point of view, the carnage of Sumgait, a city north of Baku, in February 1988 - an anti-Armenian pogrom done by the Azeri - was the trigger for the national movements in USSR. Gorbachov's inability to use force convinced everybody that there was room for nationalist demands. Force was used in Almaty, but in a limited way. The army's non-intervention in the carnage against the Armenians showed Moscow's impotence and presented the opportunity. In those years, crowds praising Khomeini occupied Baku. Although more advanced, Azerbaijan is more similar to the central Asian republics. After the conflict in the Caucasus, there was talk of Crimea, Abkhazia, Ossetia, and Transnistria, as possible bridges for further annexations by the Russian Federation. Are these possibilities realistic? They are very different realities. Abkhazia and South Ossetia have been in conflict with the Georgians throughout the twentieth century. The occupied Georgians, those from the famous rally of 1989, were demanding independence from Moscow but were not willing to give independence to the people in Abkhazia. There is also a big difference between Abkhazia and Ossetia. There has been serious violence in South Ossetia but nevertheless nothing that can be compared with the brutality against the Georgians in Abkhazia in 1991. In Abkhazia, massacres occurred quite similar to those in ex-Yugoslavia. The outcome was, apparently, 30,000 Georgians killed, and 300,000 forced to flee the region. As for Crimea, it is not an enclave but something much bigger. Historically it is land of the Tatars, who were later expulsed by the Russians, presently in the majority there. The problem is that these borders, established in 1991, are contested borders, and it would be quite opportune to have an international conference to discuss them. Nobody wants to address the issue of the borders in order not to cause a war, but if nobody talks about them, the war will nevertheless happen again. On the other hand, Transnistria can be called a real Russian enclave. The Russian population in Crimea is too big to be called an enclave. The death of an empire, even peacefully, creates situations of this type. The big republics did not fight, they recognized each other; they had a consensual divorce. Russians inhabit even northern Kazakhstan. Entire regions could demand to join Russia. Therefore, President Nazarbaev of Kazakhstan has always been very cooperative with the Kremlin. He has been doing this in order not to compromise his country's territorial integrity. 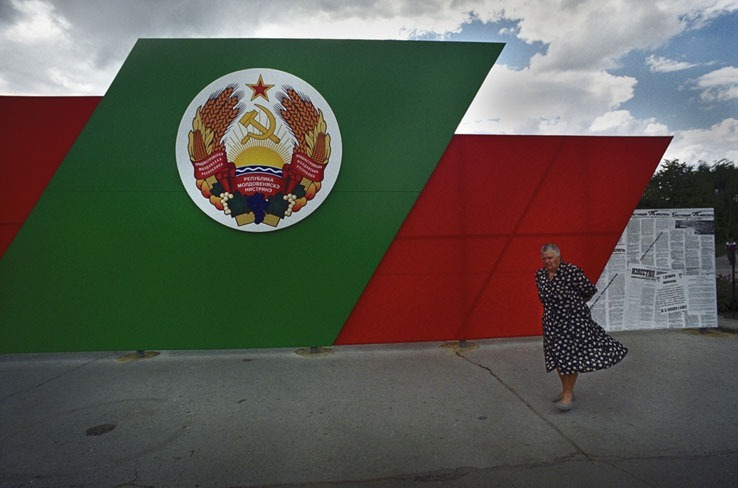 Can Transnistria undermine Moldova's security and integrity? The issue is complicated but different from that of Abkhazia and South Ossetia, because Transnistria does not directly have a border with Russia. The Moldavians certainly cannot intervene and reconnect with Tiraspol because Russia protects the enclave. At the same time, given Transnistria's lack of direct border with the Russian Federation, it is difficult to consider its annexation, even if the Crimea would return to Moscow's control. More generally, however, the factors of conflict are there, and they are relevant. Europe's position of ignoring these issues is very harmful. If the April NATO meeting in Bucharest would have permitted Georgia and Ukraine to join NATO, the conflict in Ossetia would definitely not have occurred. I would even be in favour of Russia's entry into NATO, even though at present this would be difficult because Russia itself refuses the idea. I do not understand why Russia should be treated as a hostile factor. Russia is a European country. Reagan and Bush conducted a pro-Russian policy, which was of great benefit to the Ukrainians and all eastern Europeans. Given the emergence of China, the Russians should be convinced that NATO's expansion is also in their own geopolitical interest.